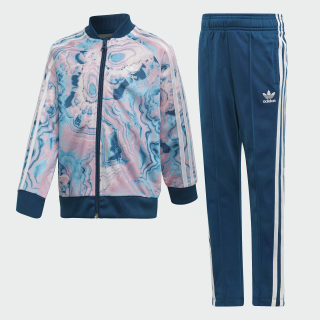 A laid-back beach vibe inspires this girls' track suit. 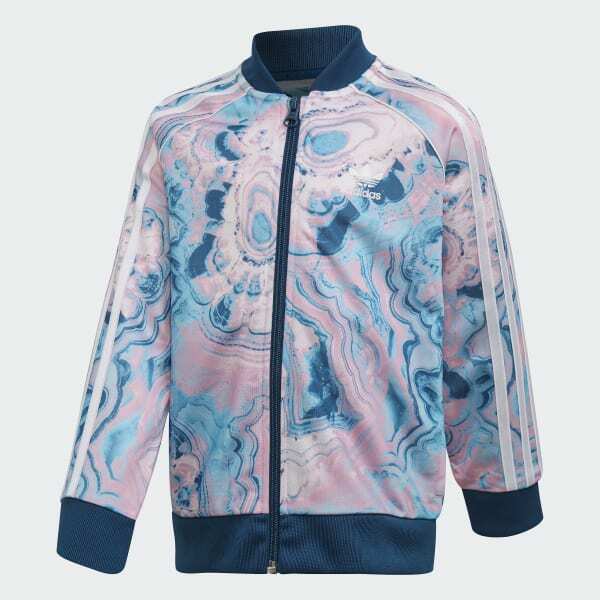 The colorful graphic print all over the jacket looks like moving clouds or waves. The pants have pintuck details and ankle zips for a throwback look. Both pieces are made with the signature sheen of an all-recycled polyester tricot.